One day I looked up and realized I was in THE rat race. The little wheel that tells you to work hard and log a lot of hours in an office building so you can show others you’re “important”. The wheel that says retirement is the end goal and THEN you can finally do all the things you wanted to do. Great, just when I’m too old and tired to actually do the things I wanted to do in my 20s and 30s. Jeff and I have been staying within the lanes of the cultural expectation, all without even realizing it. It just sort of happened. We’ve been responsible people doing the shoulds in life instead of our musts. In May of 2016, I had hit a breaking point…. we hadn’t seen some family members in over a year and I was simply burnt out… and I was only 29 years old. We started to ask “why” a lot….why we were running this rat race and why we couldn’t change it. The answer was that we could but it would just take a hell of a lot of work in order to be wise and not just jump into something. We were okay with hard work (to be honest I didn’t realize how difficult it was going to be until we were in it) so, WE DECIDED TO CHANGE OUR STORY. We knew this wasn’t going to be a one year hiatus kinda thing like some thought. No, this was going to be our new lifestyle… or, as we have been referring to it, The New Brinkley Adventure. Both work remotely so we can travel the world and work at the same time. For us both to follow our true callings, passions, or whatever you’d like to call it. Life is too short not to. As we travel, we’re hopeful we can use this as a ministry. We realized God never asks people to just sit and wait but instead He tells us to go and follow His lead (this is part of the reason for my “rise and go” tattoo on my arm). This is us doing just that. Honestly, our lives in Nashville have been fantastic. However, we’ve learned that sometimes God reveals and tugs at you to follow His lead regardless if it was part of your plan. Our friends and a lot of family are here… we had great jobs that we really enjoyed and were living the average American life. On paper, it makes no sense for us to leave and completely change the way we are doing life. Except that if you know me, you know I think average (for me) is boring. It’s actually the worst thing I could be called. So, the past year we have worked extremely hard, slept less, made a lot of changes, worked even more, and decided we are moving to Colorado. We feel completely compelled to do this. We want to be more intentional with our lives. We don’t want to continue on with the status quo and keep wondering what could be. So, here we are… taking this giant leap and changing our story. 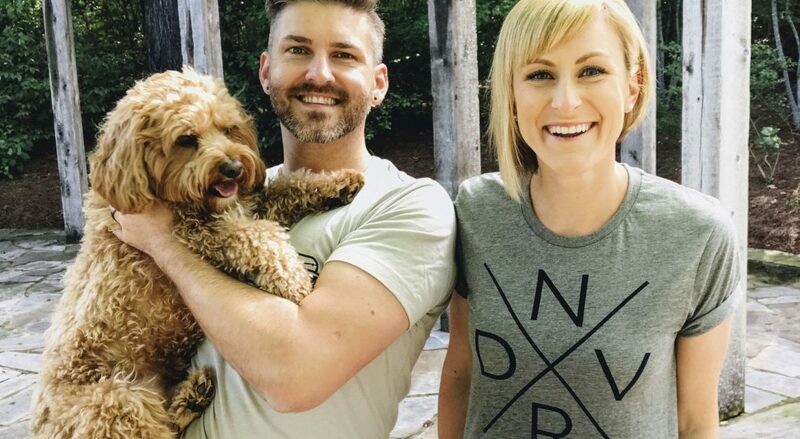 So, if you’d like to follow along on this journey, we started a YouTube channel to document it ALL… Husband and wife duo traveling the world with our teddy bear dog, Leon. We’re going from career worlds to being digital nomads and are going to be showing you the ins and outs of what that looks like for us, the mistakes we make, and all the good stuff too! To know more about our GRAND PLAN watch this VIDEO (and subscribe on the channel to get updates and maybe get inspired so you can change your story too).